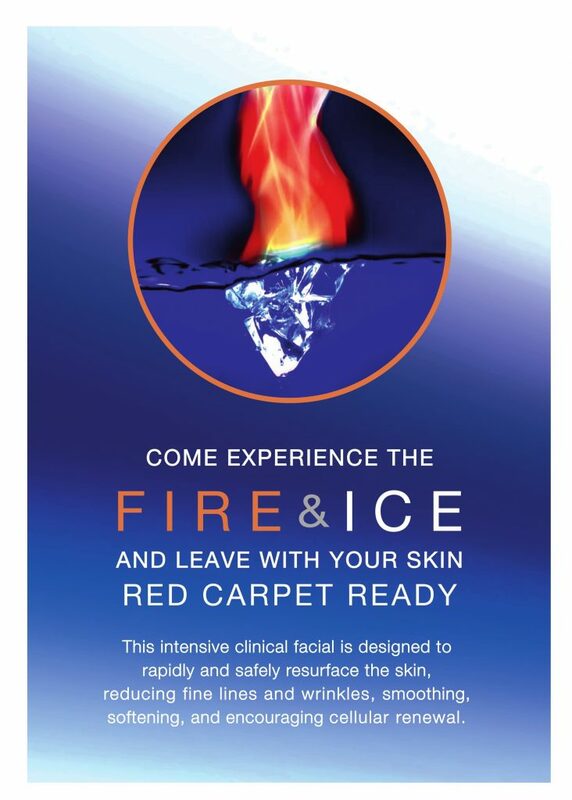 The Fire and Ice Facial is famous for its instant brightening, smoothing and tightening of the skin. It’s also known as “The Red Carpet Facial” in Hollywood, for obvious reasons! This intensive clinical treatment is designed to resurface the skin, reduce fine lines and wrinkles and deep clean blocked pores. Serums and creams with aromas of warm cinnamon and cool peppermint compliment precise combinations of two professional treatment masks. After the “fire” mask has completed its job, the “ice” is applied. This is a rejuvenating mask designed to cool and soothe the skin. This intensively hydrating masque contains hyaluronic acid, aloe vera gel, Japanese green tea extracts, licorice extracts, grape seed extracts and rosemary extracts. The pampering part of the facial cools the initial “peel” and leaves the skin glowing.